There is no doubt that due to direct operation of Pak army and airstrikes of Pakistan Air Force in the North Waziristan and Tribal against the terrorists; acts of terrorism has been decreased significantly. Despite of all these efforts succeeded to attack APS Peshawar in December 2015 and Bacha Khan University in January 2016 jolted the nation. Children are innocent, the floating dead body of a Syrian child jolted the whole world and forced the European countries have strict laws for immigration to change their laws, even during the wars in the stone age or dark ages children were spare but what type of enemy is that who wants to attack and kill children. The reply of this question was given in the video message of Lateef Ullah Mehsood released and telecasted on most Pakistani TV Channels on 29th January 2016, clearly mentioned that terrorists would be targeting schools and educations institutions. In this video, Lateef Ullah Mehsood confessed that India and Afghanistan are involved in the terrorism in Pakistan. Especially, Indian RAW and Afghan Intelligence agency are planning and executing terrorist attacks in Pakistan. 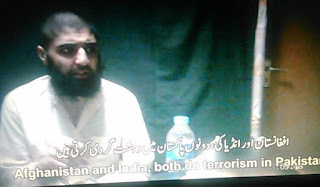 Lateef Ullah Mehsood also made it clear in his video message that India is the worst enemy of Pakistan. Yes! 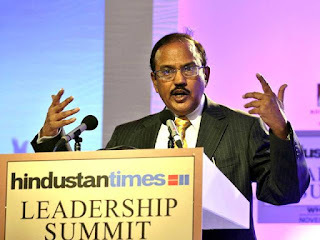 Since 1947, India has been involved in conspiracies and open aggression to disintegrate Pakistan but irony of the fate is that some elements within Pakistan are not ready to accept and tell this bitter reality to Pakistanis. The result of this negligence is that Pakistani rulers are not ready to pay any heed to Modi’s confession in Dhaka for role of India played in the disintegration of Pakistan in 1971. These rulers for their personal business interests are not ready to give importance to the statement of BJP leader in which he claims that India divided Pakistan into two parts and further disintegrate Pakistan into four and so more until it vanishes at all. On 02 February 2016, Army Chief General Raheel Shareef at Balochistan without taking name of the India said that terrorists are being funded from abroad and supported internally as well. He reassured nation that terrorism would be removed from the country and Operation Zarb-e-Azb would be completed until it achieves its goals. 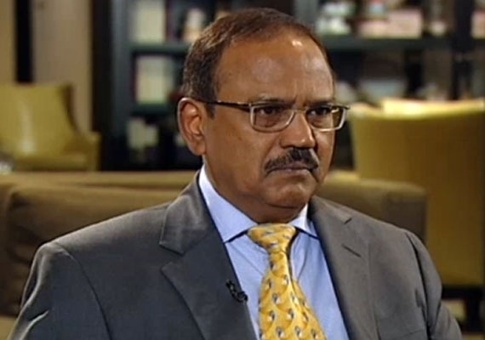 Before this he had clarified that Indian RAW is involved in conspiracies to weaken Pakistan. Time tested friend of Pakistan i.e. China has diplomatically formally expressed her concerns to India over Indian terrorism in Pakistan. According, to a report of Daily Mail UK published in November 2015, higher officials from China visited India. Apparently, this was a routine visit to enhance the bilateral ties. In fact, Chinese higher officials visited New Delhi to express their concerns over the increasing violence and terrorism in the region and role played by India in it. Indian involvement in terrorism in Pakistan, Sinkiang province of China and Tibet, Indian terrorist training camps in Afghanistan especially in Qandahar and Noristan, role of Ajeet Kumar Dowal, Special Advisor for Security to Modi supervising and running these terrorist activities was also discussed in this meeting. According, to Daily Mail Chinese Envoy made it clear to India that China is fully aware of Indian conspiracies to sabotage China-Pakistan Economic Corridor. They also presented the evidence of Indian involvement in terrorism in Tibet and Sinkiang and links with “Estate Turkistan Islamic Movement” (ETIM). This is the Chinese policy that she does not adopts propaganda but makes her stance clear without wordiness with carefully selected words. China herself has been facing terrorism in Sinkiang and Tibet and Indian support to these terrorists is not a secret anymore.